This post is sponsored by Christmas Tree Shops andThat! Thank you for supporting the brands who support this blog. Easter is the first holiday that I have been able to decorate for in our new home! Ben and I had both of our families over on Friday for an early Easter celebration. 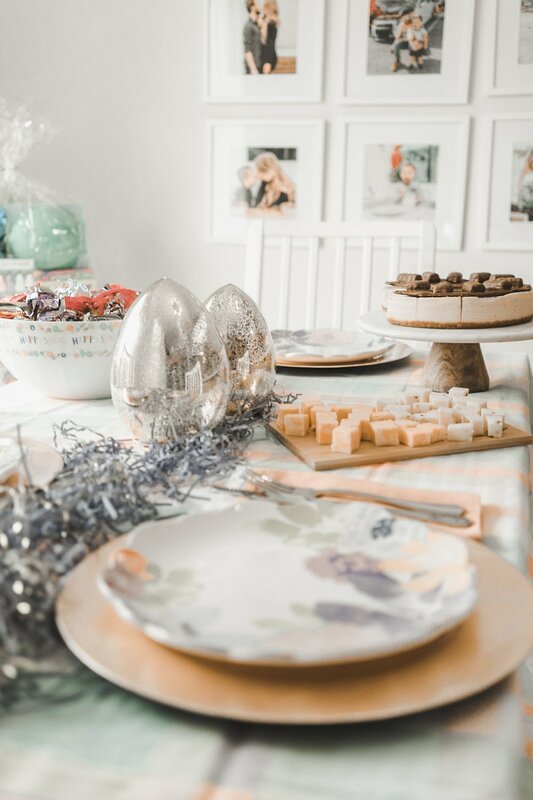 I have been loving to create tablescapes for every season and so doing one for Easter was a must! 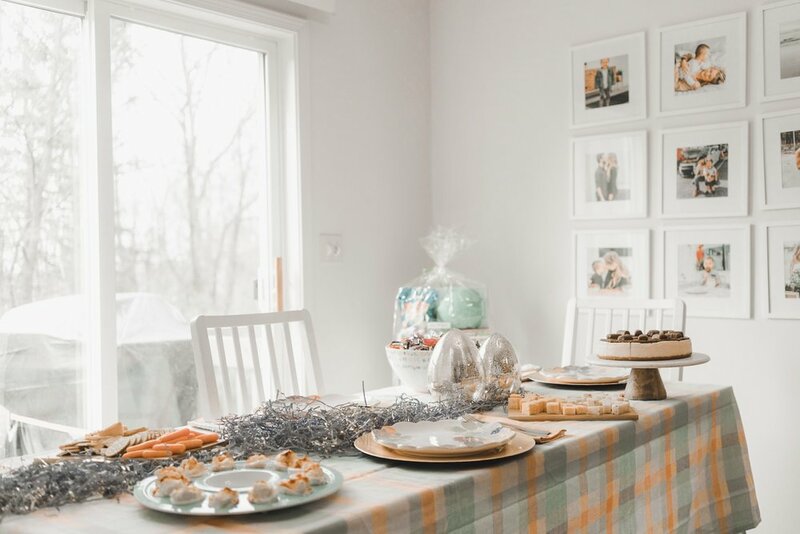 I set up this beautiful table and I loved it so much, I just had to show you all. Keep scrolling! 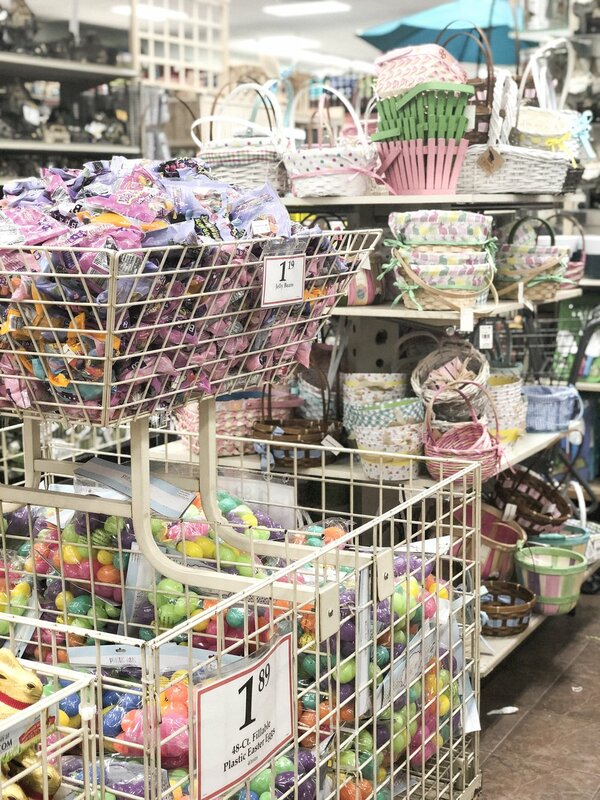 I picked up all the Easter decor at Christmas Tree Shops andThat! I found the most beautiful gold eggs and the most colorful table cloths, including coral - this year’s trending color. 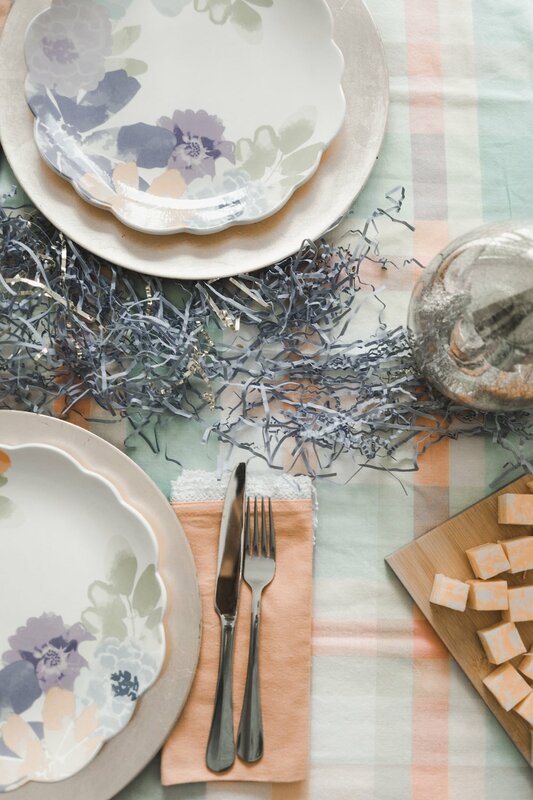 The gold charger plates are perfect with these floral plates. I ran the purple and gold easter grass down the table because it’s so fun for the kids! I love shopping at Christmas Tree Shops andThat! 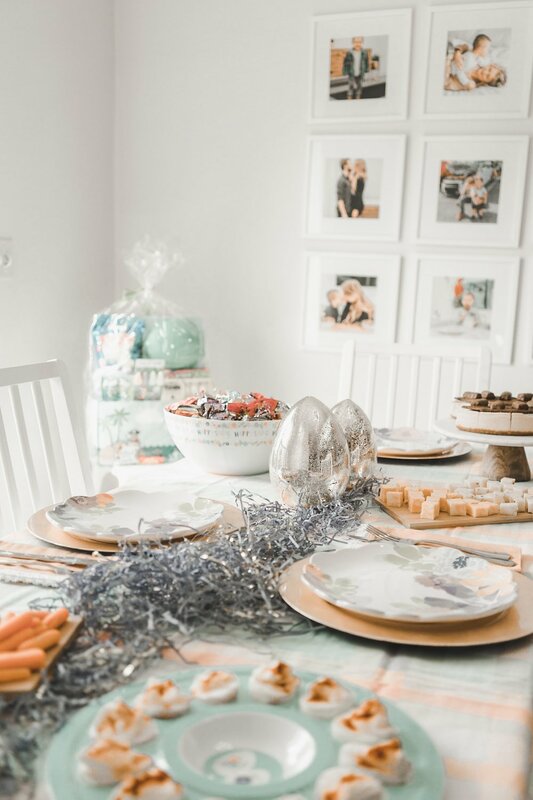 since they have fun finds at affordable prices, and I love that their seasonal assortment is always exciting and ever-changing! 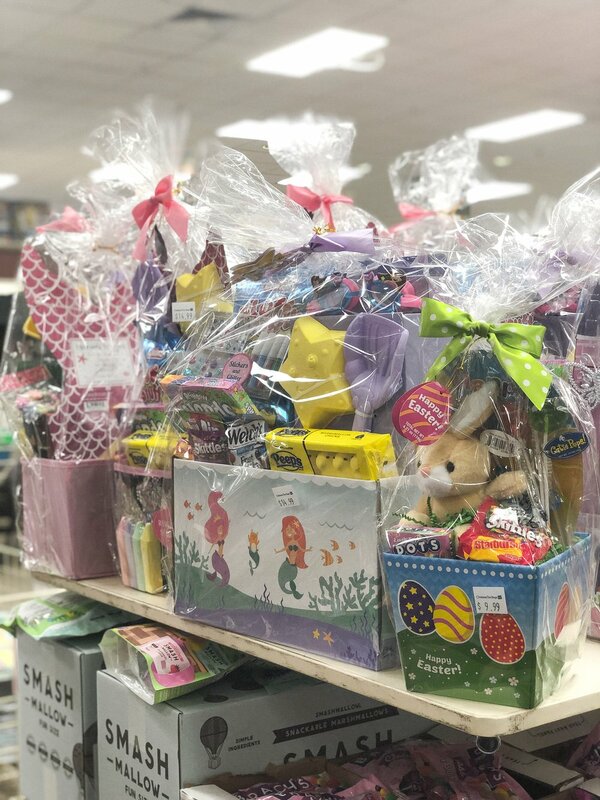 While shopping, I also picked up Aimery’s easter basket which is already pre-made with great gifts! 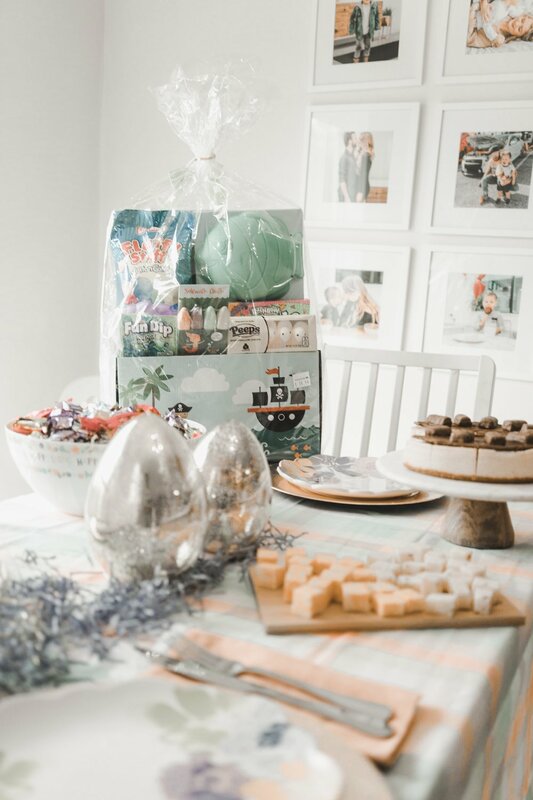 He loved everything in the basket, including sidewalk chalk and other fun treats! 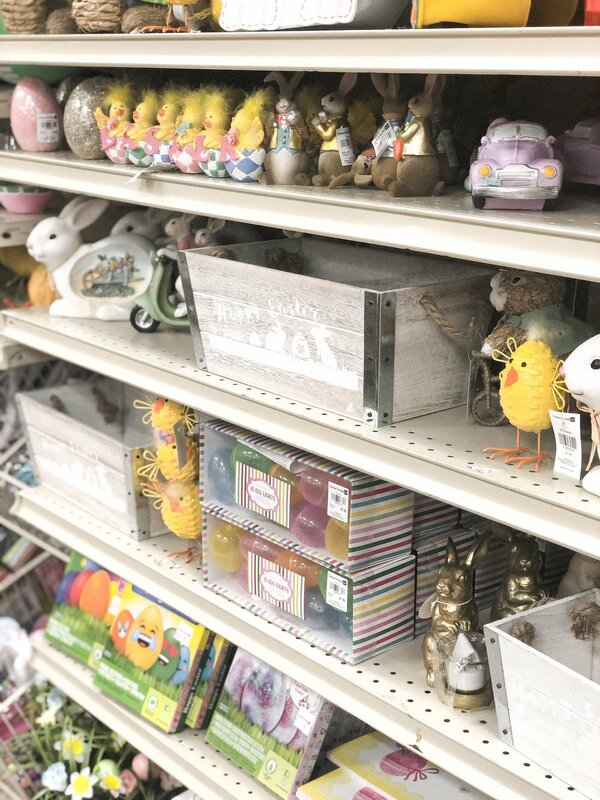 No matter what you need, you can pick up everything to decorate your home for Easter at Christmas Tree Shops andThat! 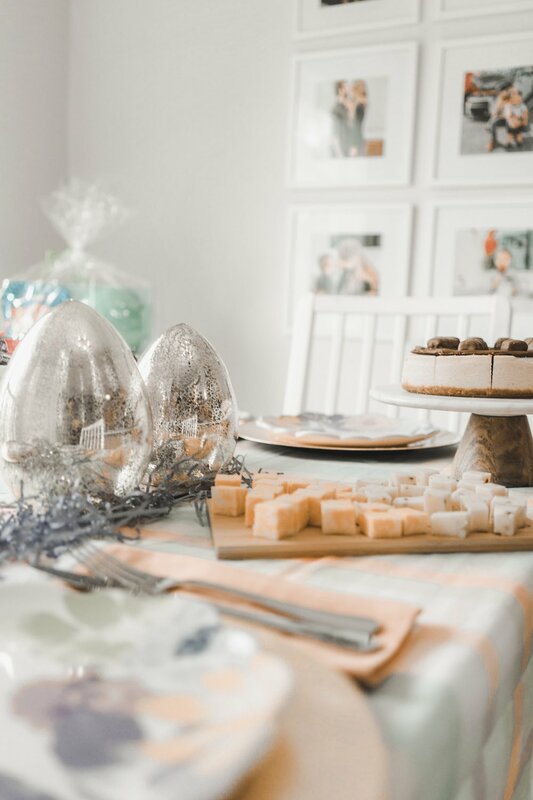 Tell me how you are spending Easter in the comments below!